You can collect small flower-shaped items that appear randomly and have different effects, depending on their color. Learning the effect of each color and how to use it is the key to the game. Orange ones, for example, simply give you extra points. Blue ones create a sort of cyclone in the center of the screen. If you manage to hit it without being hit by any of its spiraling satellites, you get a potentially large bonus. The game's Help option explains the effects of all of the different colors. A lot of games that simply reward your efforts with points can lose your interest fast. Ball Fall is definitely an exception to this. You'll probably find yourself restarting immediately when you lose to see if you can survive just a little longer and beat your last score. The graphics in this game are very clean and although they don't stand out, there really doesn't seem to be much room for improvement. The music is catchy and even after having played this game many times, it has never become irritating to me. Overall, this is a simple, addictive game that I think is certainly worth trying. Recommendations: The 18 people who like Ball Fall also like the following games. Needs a graphical update, but in terms of gameplay: so addictive it hurts! A little slow, the ball could move a little faster. interesting concept, decent graphics, the music was a midi version of 'Song 2' by Blur, which is alright if you lack the software to make your own midis, but otherwise it just seems kinda rip-offish. There was a sound effect that kept looping when I was sent back to the main menu that needed to be stopped too. This game is pretty good. It gets old after a while though...still, great job! I think this game is very addictive and I love trying to beat my high score because when you lose you just know you could've done better which is what makes you come back for some more! Only bad thing in my opinion is that the floor falling animations could have been smoother. Very addictive in wierd sort of way my best score was 5847. I liked all of those little bonus stars but the reason I gave it 9 not 10 is because it is frustrating only having one life! This game is good and fun to play but after a while I got kinda bored of doing the same thing. I liked the music too. This is the most perfect games made with gamemaker I mean really it is good. I don't know if it deserves a perfect ten or even an uneven eleven, but It's certainly one I'll be keeping on my desktop for some time. I remember following this game's progress closely during its development. The topic was nothing but suggestions about different star things and their effects, and Sorby would choose ones he liked or come up with his own. 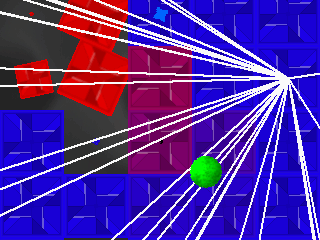 Ball Fall is one of those games where you can't really figure out why it's so addictive. This is superb. on a scale of 1 to 10, this would have gotten an 11... if it had some things added. Such as 2-player mode, at least 3 lives, and... that's it. That's all this game was missing. Still good. I got a high score of 8457! Hahaha! One of the best mini-games that I've played in ages. Incredably fun. I suggest maybe it could be made into a 2 player mode where the person who falls first loses. If you get what I mean. 7/10 Decent game, good gameplay, nice music in game. But this game falls short from basic flaws that are found in almost every GameMaker game (game hindering (instead of heightening) effects). Example- SpeedUp powerup (isn't this supposed to be a powerup, way too many time I would hit it and fly off the edge of the screen). A better concept would be to have it gradually bring up the speed (quick but gradual). Edge of screen death, annoying, I think it would be better looped. Being hit by the blue flame should have some explosion type of death animation not a falling animation. Overall, nice game, worth a peek. Brillant thinking and quite addictive, Good Job! Wild fun, this game is addicting! Awesome concept, very, very nice idea! This is awesome, a definite 10/10! Man this game has some interesting effects. Thanks for putting it up here tapeworm. It reminds me of - SNAKE! That's it, a super cool snake minus the snake. Very interesting, and addictive!